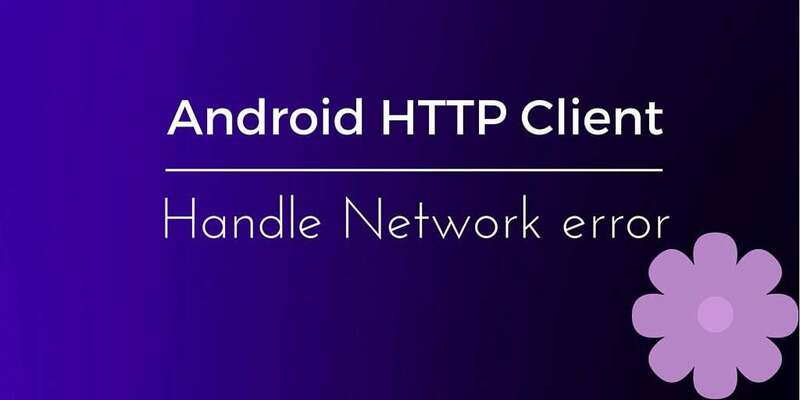 In this post I will show how to handle http client network error or the situation when the connection changes (i.e from UMTS to WI-FI). In all these cases we have to gracefully handle these errors and implement some strategies to try to reconnect if possible. In a perfect world when we connect to a remote server with HTTP protocol everything works perfectly, we don’t have to worry about connection errors, server under heavy request load or unstable network. Previously, we talked about how we can connect to a remote server and how we can send and receive data. In the real world, usually, while we are connected to a remote server we walk or run or even we are in a car, so that the network signal can vary or it can suddenly break. At the same time Android can device to switch from UMTS to WI-FI or vice versa or it can switch from one APN to another and so on. When we code our app, we have to take into account all these situations and handle them correctly. What HTTP library are you using for your Android app? Check this post about Android HTTP library to know the best one to use. If we used Apache HTTP Client there’s already a mechanism that helps us, we could implement HttpRequestRetryHandler interface with our retry mechanism logic or a default implementation. If we use the standard Android HTTP connection we have to implement is by ourselves. This interface has just only one method where we implement our logic to handle or not the network error. We pass the exception and a counter that holds the number of attempt to re-establish the connection. The HttpClient then has to be modified to handle the client network connection error. It doesn’t have to raise an exception as soon as it can’t connect to the server but has to ask to our class that implements HttpConnectionRetryHandler if it should raise the exception or try to connect again. At line 1 we simply extends the BroadcastReceiver and we implement onReceive method (line 4). At line 6 we get the information shipped inside the intent broad and implements our logic. In our case, we simply check if the proxy is changed but we could implement other types of business logic. This is great.. can you post the source code so I can play with it a bit? Yep tomorrow i will add my code to guthub.